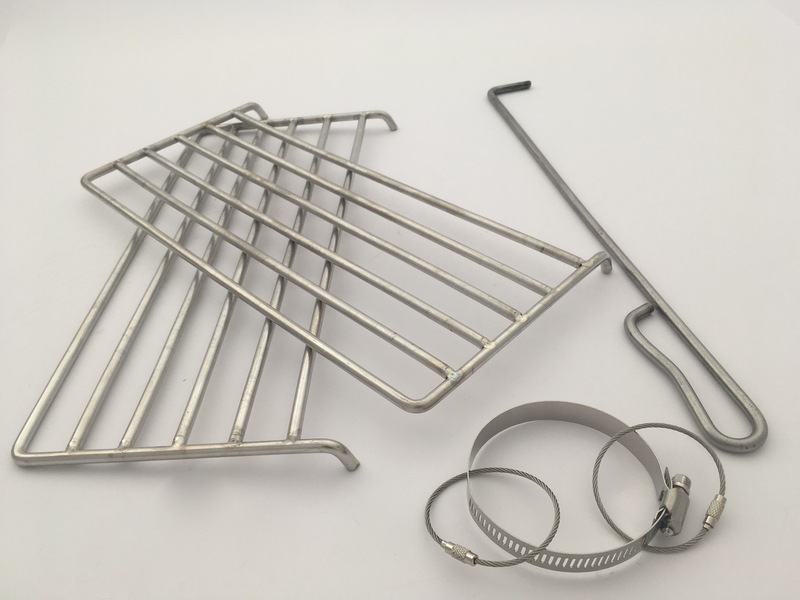 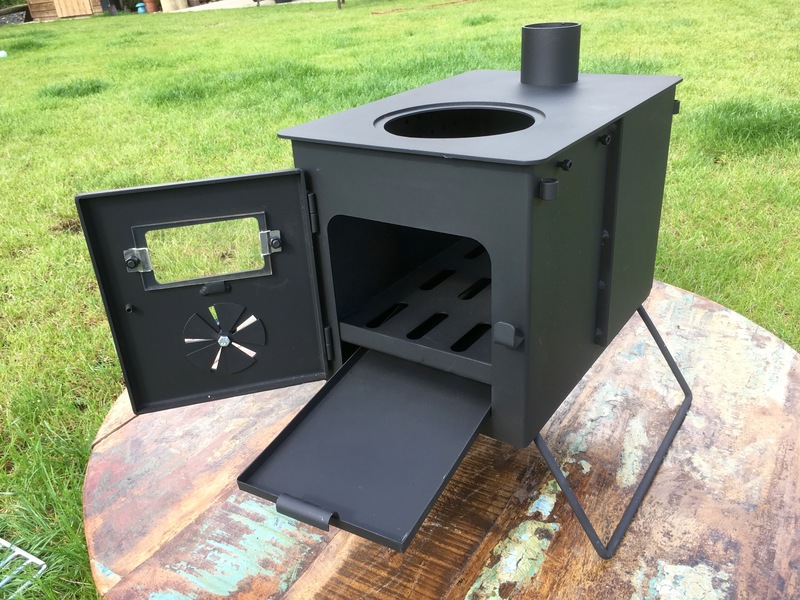 Comes complete with durable carry bag and shoulder straps, 2.4m stainless steel flue with spark arrestor, guy rope ring kit to stabilize the flue pipe, 2x stainless steel pan racks extending your cooking area, poker tool for removal and replacement of the top loader and ash removal pan. 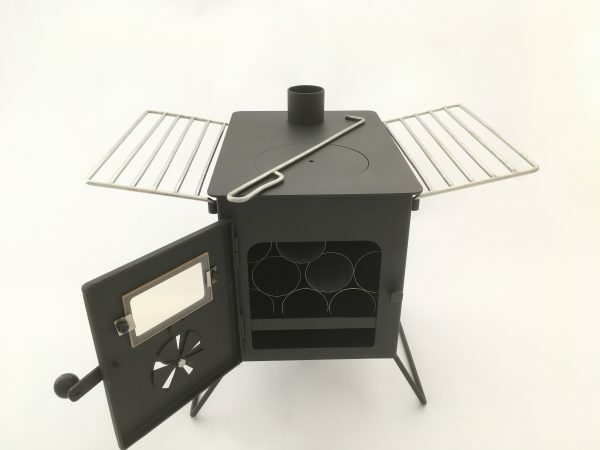 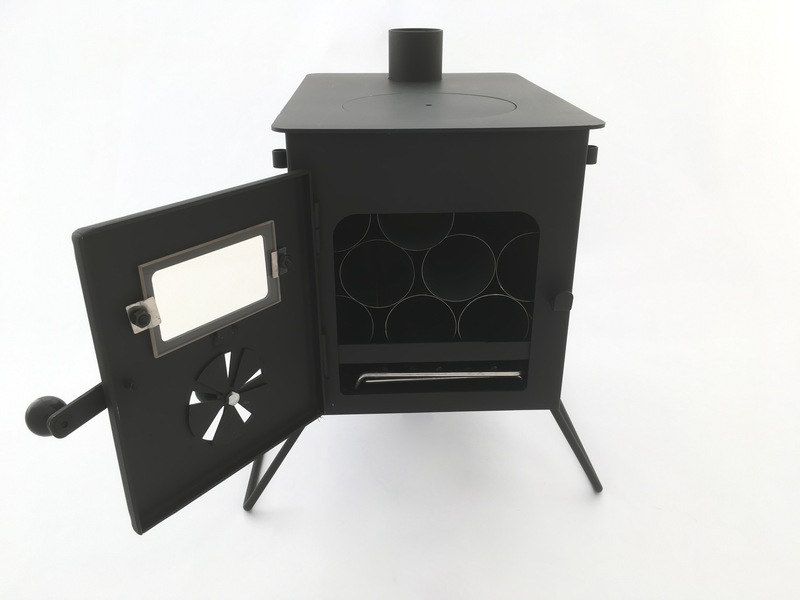 The Karma Canvas Nomad Pro is the UK’s first portable wood burning tent stove offering efficient re-burning of the wood gases to ensure a clean burn and low fuel use. 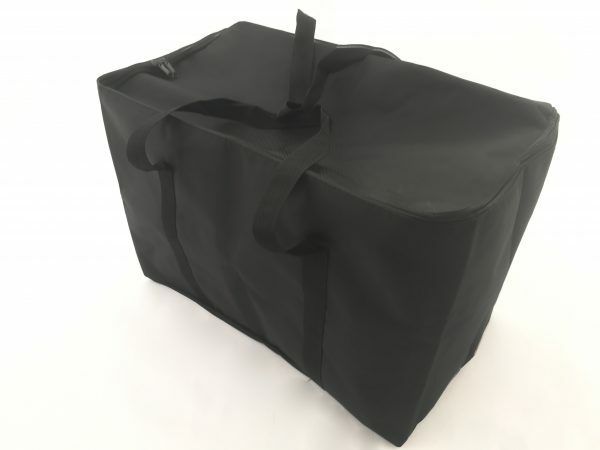 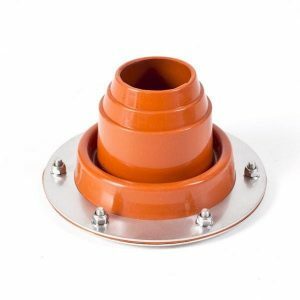 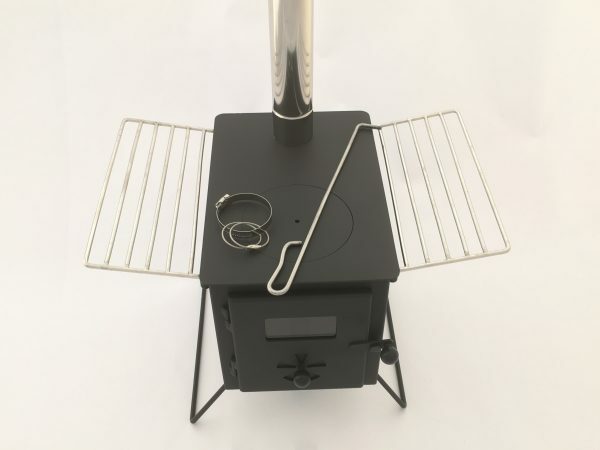 This lightweight, portable multi fuel stove is an ideal companion for all of our bell tents and due to its compact but solid construction it can literally go where other stoves cannot! 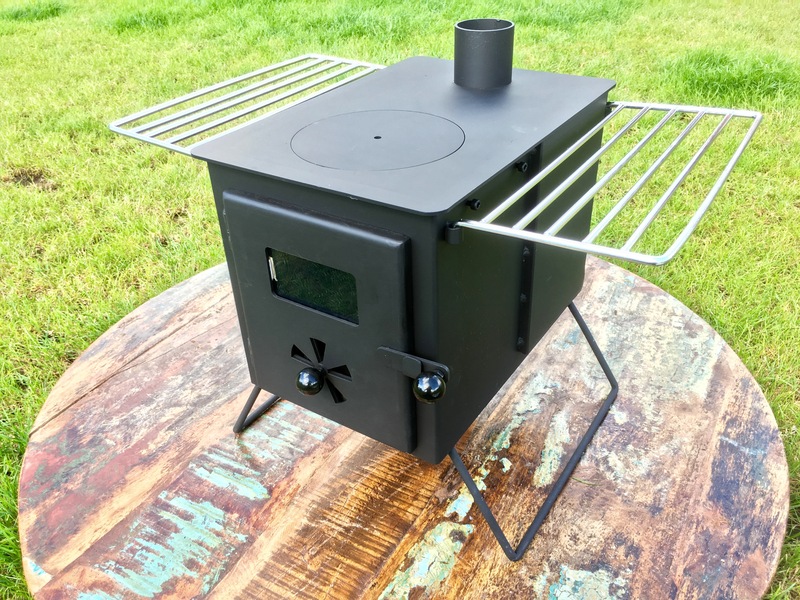 With its fully welded heavy duty firebox and multi fuel grate with ash removal pan the nomad PRO stove is also perfect for more permanent installations. 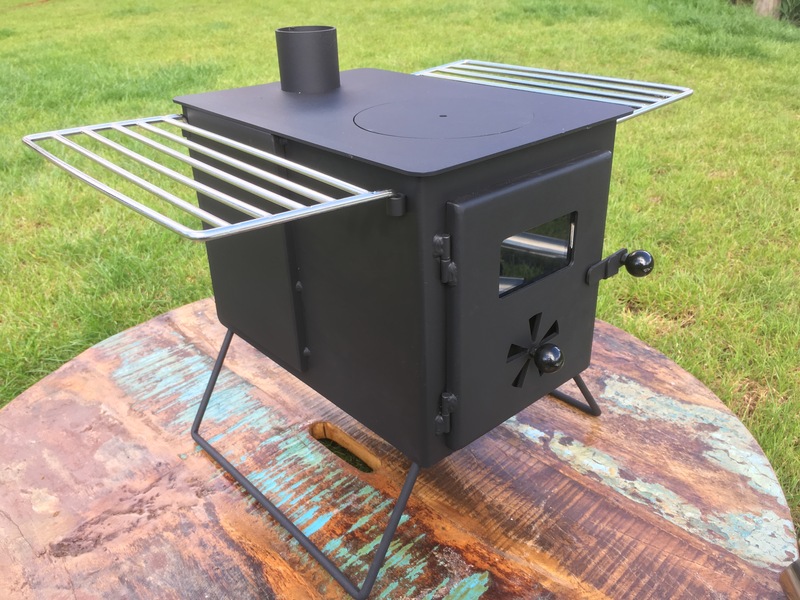 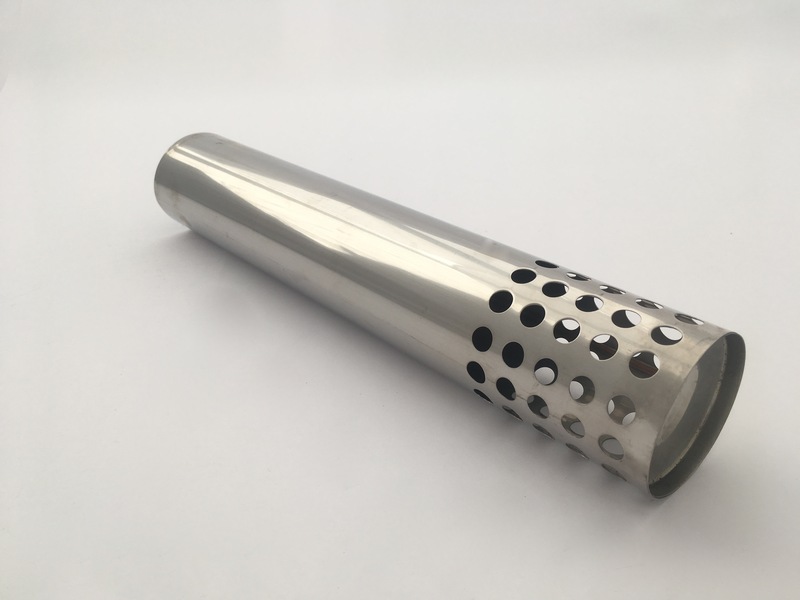 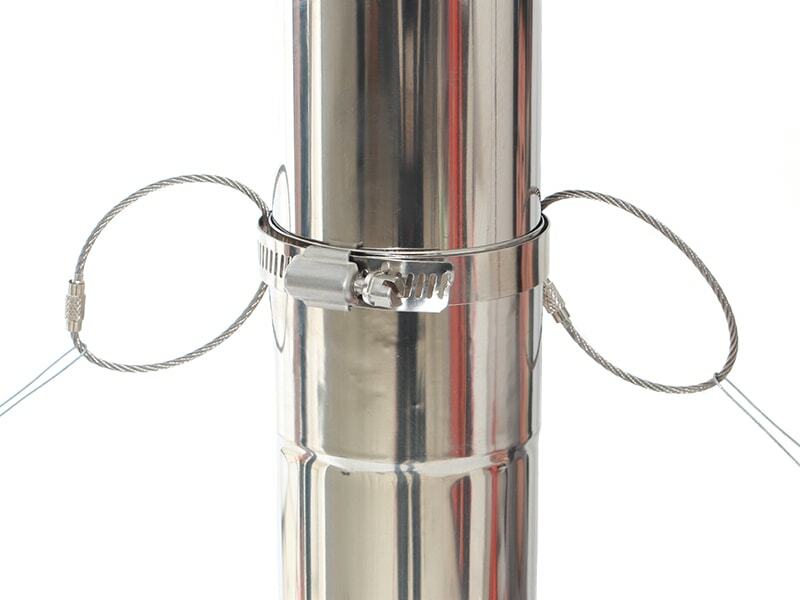 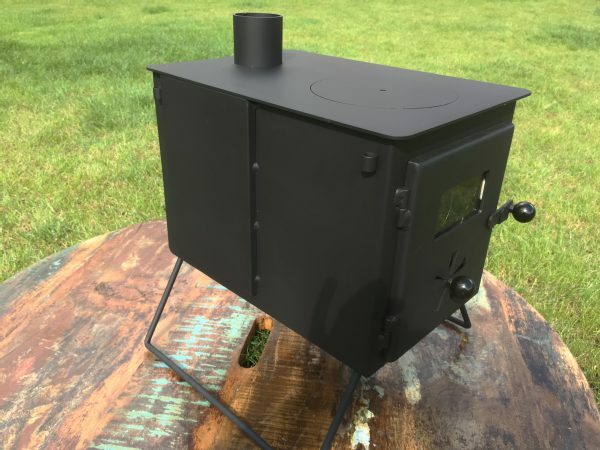 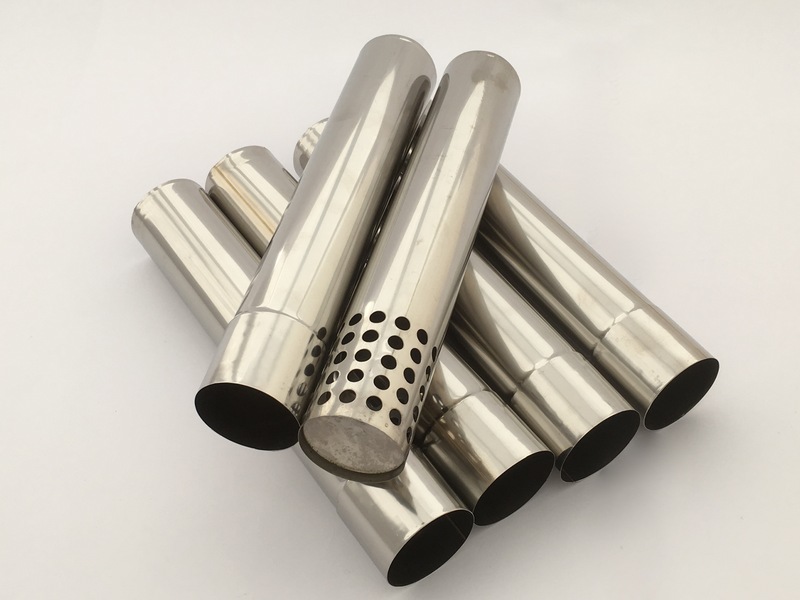 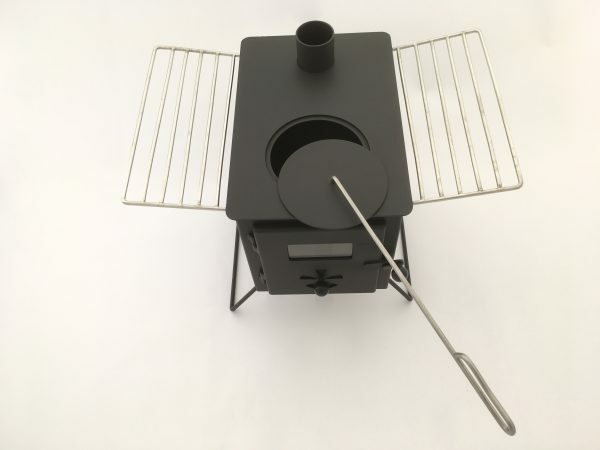 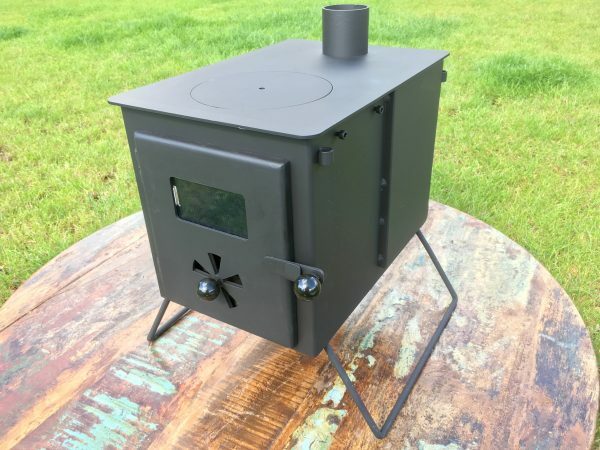 Amazingly this beautiful Nomad stove offers between 3 and 4 kw of heat but only weighs in at 14kg, the extra long 2.4m stainless steel flue pipe with built in spark arrestor stops any stray sparks or hot ash coming in contact with your canvas. 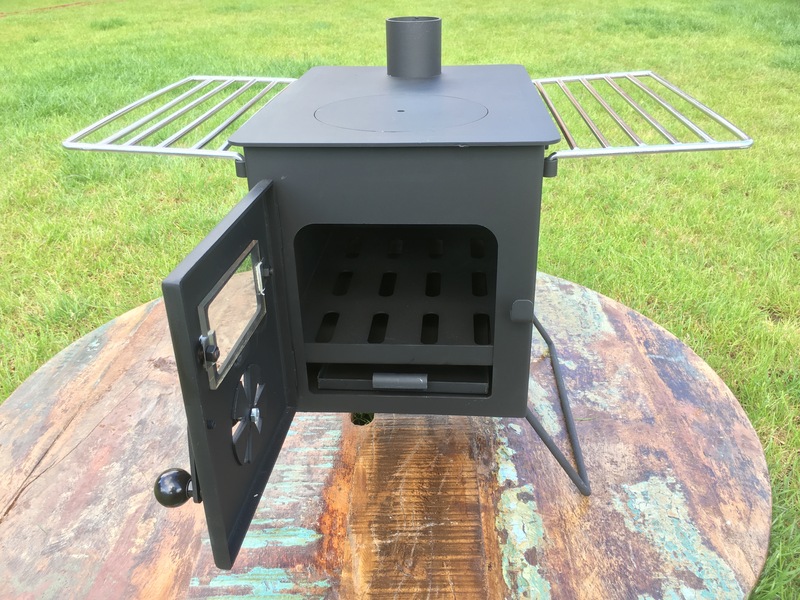 The Nomad PRO stove offers a extra large cooking surface with a removable hotplate cover/toploader and 2x removable stainless steel pan racks that can be fitted to ether side of the hotplate to further extend your cooking area. 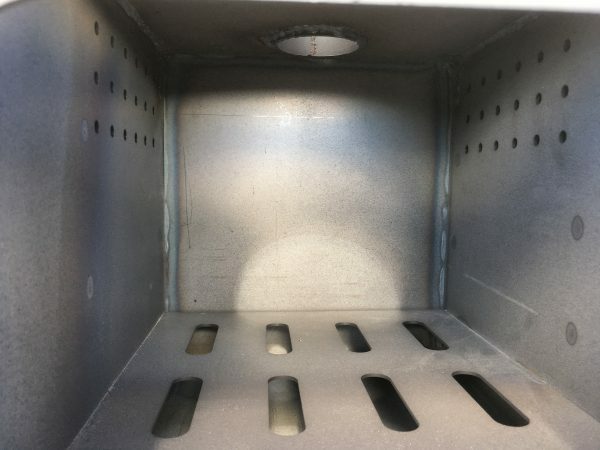 Secondary ventilation ensuring efficient clean combustion. 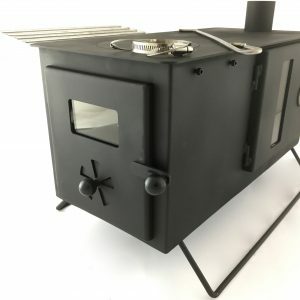 Sustainable clean burning, utilizing minimal fuel. 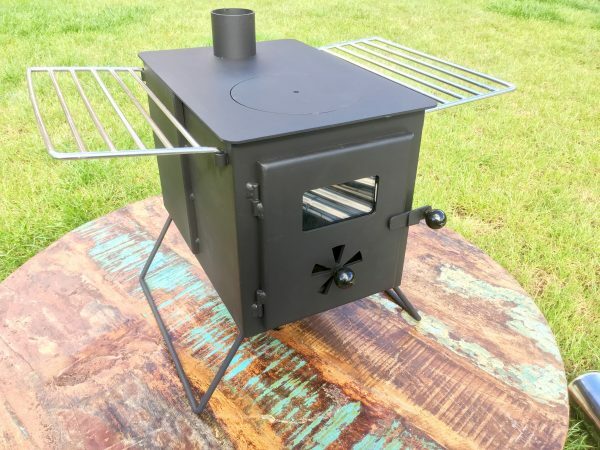 Extra long upgraded 2. 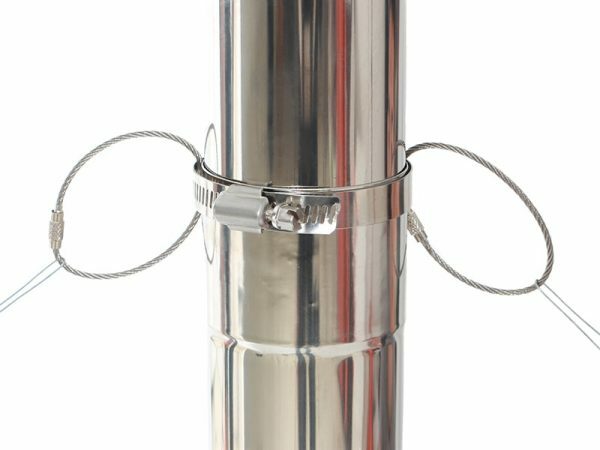 4mtr 60mm stainless steel flue pipe. 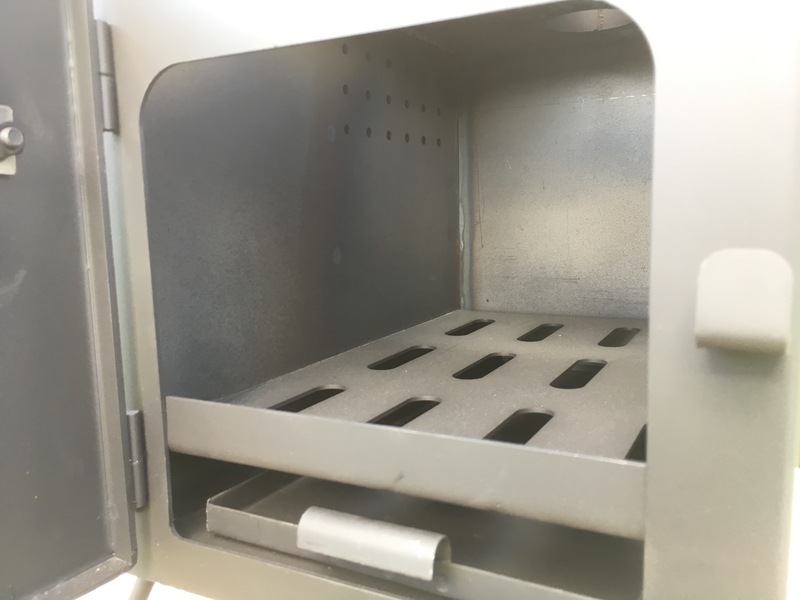 Ash pan so you can remove any ash from fire box. Secondary combustion intakes fitted ether side if the stove body. 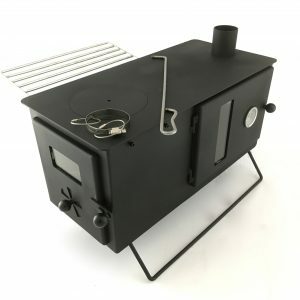 Stove Hotplate is Heavy Gauge Steel to Insure Long Stove Life. 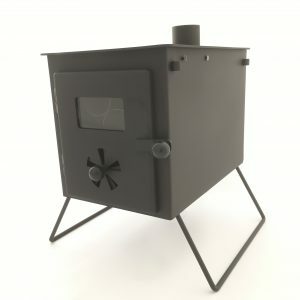 Our Nomad PRO Stove range is protected by way of registered design in the UK, Australia and other relevant territories.